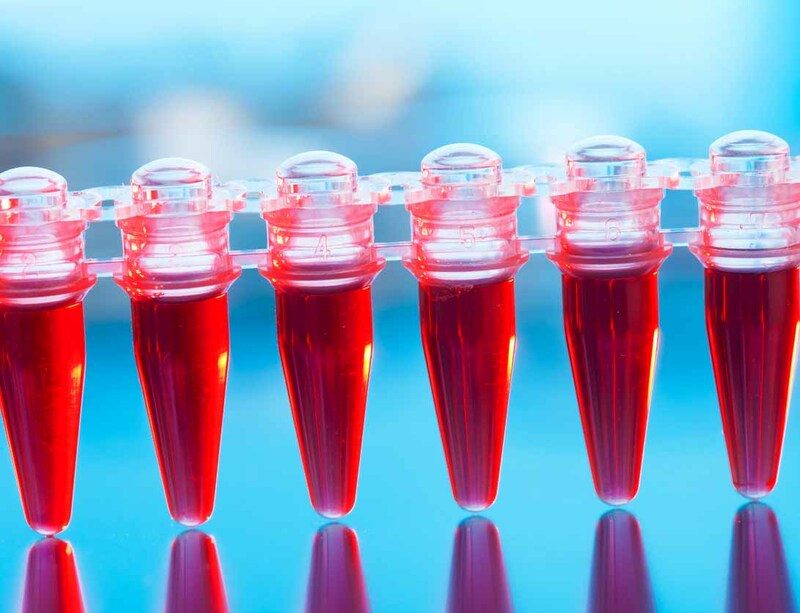 Researchers in Germany have developed a novel blood test for mesothelioma cancer that could lead to earlier detection of the disease and a better prognosis for patients. The test involves calretinin, a blood-based protein that is overexpressed when mesothelioma tumors cells are present. The advancement stems from a study using a new enzyme-linked immunosorbent assay (ELISA) for detecting the biomarker more effectively. In the past, mesothelioma has been difficult to diagnose. It’s mostly accomplished with a combination of invasive tissue biopsies and detailed imaging tests after symptoms become obvious. A reliable blood test would make the process much easier, allowing those at high risk for the disease to be monitored regularly, likely leading to disease discovery in its infancy when it is more manageable. Occupational exposure to asbestos is the primary cause of mesothelioma, a rare and aggressive cancer with a long latency period (20-50 years). The majority of cases are not diagnosed until after the disease has spread, limiting treatment options. Getting an accurate diagnosis today often takes many months and a variety of tests. Long-term survival is rare. Less than 25 percent of patients are eligible for a curative approach to aggressive surgery. Most patients receive only palliative chemotherapy. The typical prognosis is just 6-18 months. The Institute for Prevention and Occupational Medicine of the German Social Accident Insurance at the Institute of the Ruhr University Bochum conducted the study in cooperation with the National Centre for Asbestos Related Diseases at the University of Western Australia in Perth. A presentation of the research was made earlier this year at the annual Mesothelioma Applied Research Foundation meeting in Maryland. BMC Cancer medical journal published the results in May, confirming a previous study by the same team of researchers. Johnen believes the calretinin assay would be best utilized in combination with mesothelin, a similar blood biomarker and the only one approved exclusively for mesothelioma cancer by the U.S. Food and Drug Administration (FDA). The FDA approved the mesothelin blood test, under the trade name Mesomark, in 2007 for monitoring the disease, not as a sole diagnostic tool. Other blood biomarkers are used to help identify mesothelioma tumor cells, but none has been totally effective. When used separately in this study, calretinin and mesothelin had a sensitivity rating of 67 percent and 66 percent, respectively. When combined, the sensitivity rose to 75 percent. As part of the study, calretinin concentration levels were analyzed in 235 asbestos-exposed workers without signs of cancer and 199 mesothelioma patients from Australia and Germany. Median calretinin values were 0.1 ng/ml in workers exposed to asbestos and 1.1 ng/ml in mesothelioma patients, translating into 10 times more calretinin in the blood of mesothelioma patients than in cancer-free, asbestos-exposed workers. The calretinin test worked best with the epithelioid and biphasic cell types of mesothelioma but not with sarcomatoid, which is the least common and most unmanageable. The same research team is close to completing a 10-year molecular markers study that involves approximately 2,700 German workers who experienced occupational exposure to asbestos. They have been providing blood samples annually for the validation of various biomarkers involving the early detection of mesothelioma and lung cancer. Approximately 1,500 cases of mesothelioma cancer are diagnosed annually in Germany. DLD Diagnostika GMBH. (n.d.). Product Information, Calretinin ELISA.